Some three months before my next goal race, the Ultra Fiord in Patagoinia, my training was progressing well. It was just before Christmas and we were enjoying a hot African summer afternoon around the pool. Like any good multitasking mom would do, I had a mug of coffee in my hand and attempted to pull a beach chair closer with my one foot, careful not to spill the coffee. At that moment I stepped on the bottom cross-bar of the chair and I slipped along with the chair. Unable to mitigate the fall while holding the mug in my hand I fell on my left knee with all my weight. The pain was excruciating for a while, but soon after I could step on it again. There was never any noticeable swelling on the knee, only a greenish hue along the inner parts of the patella. I could feel the pain emanating from deep below the patella. I rested the knee for a few days until I felt it was better enough to try running on it again. The first time I ran again I was able to go for about two kays before the discomfort set in. After I finished the three kay run I couldn’t bend my left leg. The pain would wake me up at night if I didn’t sleep with my leg totally straightened out. So I lay off of running for another week or so. Anybody who has had to take a rest week from running during marathon training, especially due to a non-running injury, will attest to the levels of frustration and self-blame. I was losing hope of attending my goal race in Chile. To twist the knife in the wound, the airline tickets had already been bought and the accommodation paid for, so this was a big issue. A mere ten weeks before my race I got an appointment with our trusted physiotherapist. After he eliminated the possibilities of a stress fracture, he diagnosed the knee with plica syndrome. What is a Plica and Plica Syndrome? Firstly, I fall (no pun intended!) in the lucky half of the population who actually has plicae (plural of a plica). A plica is a fold of synovial membrane most commonly in the front-middle part of the knee.  (source) The synovial membrane encloses the knee joint and contains the fluid that keeps the joint lubricated. Plicae are said to be the remnants of embryonic connective tissue that didn’t fully reabsorb during fetal development. This occurs only in about 50% of the population. Knees potentially have four plicae. The medial plica, which runs parallel to the medial patella, is usually the culprit that becomes symptomatic. Plica syndrome is when the synovial lining of the knee becomes irritated. This can happen during injury, such as a fall on the knee, or because of muscle imbalances or abnormal hip or knee mechanics. The tissue may then become thick and painful. 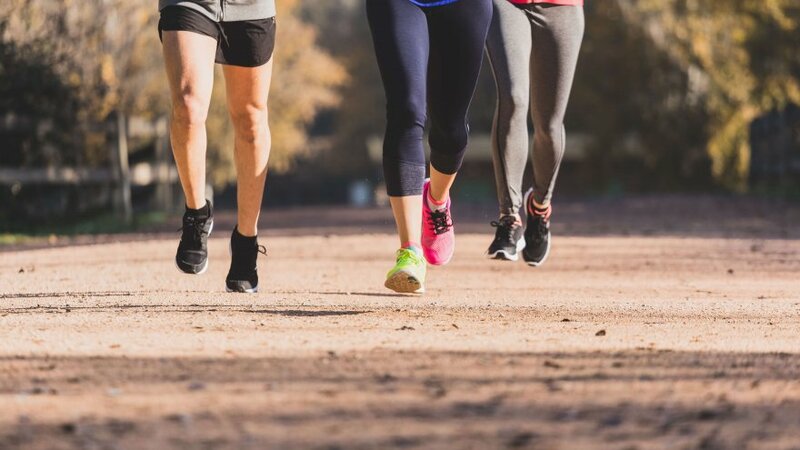 With plica syndrome, any sort of action that involves movement of the patella, including walking but especially running, would further irritate an already inflamed knee. My case was exacerbated because of pre-existing incorrect kneecap tracking. Not at all uncommon in runners, especially women, I have weaker inner-quads that cause my kneecaps to track slightly inward. Of course, this didn’t cause injury or even discomfort during running in the past before the inflamed plica. Now, we needed to get the patella to track correctly and away from the sore spot to allow healing. The good news was that, after the physio diagnosed plica syndrome, treatment could begin immediately. Because I had relatively little time for training left before my race, the physio wanted to get me back into running as soon as possible. Initial treatment in my case included dry needling and kinesiotaping. The taping technique used was McConnell’s technique which involves taping the patella inward with rigid kinesiotape. This allowed for patellar tracking away from the inflamed spot, and the relief was instant. I ran a 5 kay test run the very next day without any pain. With the taping, I was able to continue my training and later complete the 50K Ultra Fiord in Patagonia without knee pain. Of course, taping doesn’t fix the problem. Most sources admit that plica syndrome can take up to 12 weeks to completely heal. I suspect this is only for non-runners. Eighteen weeks after the initial injury I still couldn’t run pain-free without the tape. The knock-on effects of the training with tape support, previously existing incorrect patellar tracking and weak inner quads now had me facing “runner’s knee” or Patellofemoral Pain Syndrome. PFPS, also known as overload syndrome, is the term for pain or discomfort due to contact between the patella and the femur (thighbone). Fast forward through some more physio and I went home with a few key exercises to address the weakness in my thighs. This involved activating and strengthening the VMO (Vastus Medialis Obliquus), some squats and glutes exercises. I also had to start weaning the knee slowly from the tape by progressively relieving the inward stretch when taping. After three weeks of the focused exercises (in total more than 21 weeks after the fall) I can already see some improvement in my running stride with increased stability in my quads. Also, the knee is responding well to the alleviated strapping. It is still not fully recovered but we are probably about 95% there. Key is, of course, to continue strengthening muscle imbalances and weak areas. Injury, no matter how small, can cause us runners major setbacks of which the emotional ones are probably the worst. Our first and correct response is to take a rest day or week, but when that doesn’t help we either get desperate or despondent. We turn to Dr. Google for advice, which can range between anything from “run through it” to “take three months off”. But Dr. Google is usually wrong! Get a professional diagnosis as soon as possible. Always question the treatment you are being given. Make sure you understand your injury and its cause. (And definitely question a practitioner who is not discussing your injury and treatment with you). Avoid radical intervention such as cortisone or other injections or surgery before obtaining multiple opinions.